Friday will put us one month out from the ebook release of Into the Shadows (On November 1st! It's a Monday! Can you tell I'm excited?)! I've cooked up a few things to keep you busy until then! I hope you'll join me in some upcoming posts! *Next Week - Interview ME! I'll post the announcement and then YOU ask the questions, anything you want to know about writing, my book, or me, and I'll answer! *All Month - Read Into the Shadows for FREE before it comes out! I'll be putting up a bunch of the older full chapters up this weekend and the rest will continue coming throughout the month! *End of the Month - CONTEST FOR YOU! And you don't have to do anything! You can enter to win free copies of Into the Shadows from Smashwords.com or gift cards from Amazon.com! *Blog-hopping - All month I'll be hopping around different sites, doing interviews and guest posts! Does your blog have room for me? I'd love to stop in! Send me an email at karlykirkpatrick@gmail.com and we'll set it up! 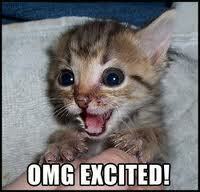 *Tomorrow - Read up on my plans for a Blogsplash and Facebooksplash to help promote Into the Shadows! I would LOVE it if you could help! This week’s article by Jerome Knowles ‘Election Upset!’ from the St. Andrew Herald discussed the election results. President-Elect Wendell Stevens was elected in a landslide victory after revealing his new plan for dealing with the Righteous Front during the final debate. The voters are now waiting to hear when the Anti-Terrorism Coalition will take effect and the list will be released. Knowles states that the election was by far one of the biggest surprises in history. Personally, I am still surprised that Moira Kelly didn’t win, because everyone seemed to like her. I hope that President-Elect Stevens’ plan really does work and they get the terrorists off the street. I am sure most Americans would be happy to have no more attacks from the Righteous Front. People could go to work and school and never have to worry about dying and that would be an awesome change. Streams of sunlight shone brightly through the car window as shadows of the passing trees flickered across Paivi Anderson’s face. Next to her sat a woman she knew well, but as she glanced around she was slightly confused. Looking over her shoulder into the back seat she was surprised to see that Michaela wasn’t in the car. Though they had been friends forever it was rare that Paivi was in the car with Michaela’s mother by herself. Mrs. Brown, an older version of her daughter and sporting the same long, dark hair, hummed along with a song on the radio. She seemed unaware of Paivi sitting next to her. In an instant the car slammed to a violent stop and Paivi pitched forward in her seat. Glass shattered—small pieces rained down on her and she could hear the horrible sound of crunching metal. Mrs. Brown screamed as rivers of blood ran down her face, which had been sliced by the flying glass. An oily smoke filled the car, surging through the vents. Paivi’s lungs burned as she gasped for air, choking and sputtering. She looked down to see flames licking at her feet from under the dashboard. She was frozen, unable to move as the scorching heat raced up her legs. A deafening explosion shook them, rocking the car. It's official! 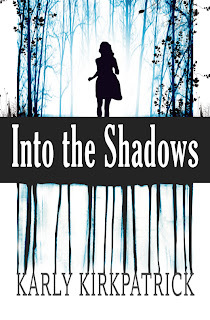 If you haven't already heard about it on Facebook or Twitter, Into the Shadows will be available for purchase as an ebook at Amazon for the Kindle and Smashwords for all other ereader formats on Monday, November 1st, 2010! If you're saying to yourself, 'that's all fine and well, but I don't have an ereader,' don't worry! You can always download Kindle for free from Amazon for your computer, smartphone, iPod, iPad, and other devices. Look under the Kindle button on Amazon's main page. I am also going to work toward getting Into the Shadows published in paperback, for all of you wanting to purchase a paper copy. I'll keep you posted on my progress. In the meantime, I will continue to post Into the Shadows here on the blog, but we'll have to speed it up a little. Look for full chapters on Mondays, Wednesdays, and Fridays. Read up now for free before it disappears at the end of October! I promise that those of you who have been reading will get a chance to finish! I will leave the first few chapters up as a free sample. On Thursday, I'll give you details on how we are going to celebrate the upcoming release throughout the month of October! I hope you'll join me! She was glad when practice was finally over. She found that she was dreading meeting Christian less than she was dreading Monday’s practice. It was a sunny November day and unseasonably warm. Paivi decided to walk downtown—it was easier than trying to explain to her parents who she was meeting. She didn’t want to tell a complete lie, so she told her mother that she was meeting Michaela at Al’s Café. It was the right place, just not the right person. Besides, she didn’t mind walking when it was so nice out. She felt a bit cagey and figured some fresh air would do the trick. As she walked through the neighborhood, she looked at the houses as she passed. Every house looked slightly different, one story, two stories, red, brown. Most were neat and tidy. Some were a bit run down and looked out of place. Join me again this evening for another round of #ebooklitchat. We've been having some great conversations, so feel free to stop by and ask any questions you might have about ebooks or epublishing! It's been super informative! Hope to see you there! The election came and went the following week with Senator Stevens winning in a landslide. Aside from Dr. Hasenpfeffer’s lively classroom discussions on the topic, life returned to its usual concerns. Paivi was more focused on basketball than anything else. It was a few days before Coach Espinosa offered her a spot on the varsity team. Paivi was relieved, but also nervous. She liked the girls on the freshman team and she didn’t know any of the girls on varsity. On November 13th, I know where I'll be...at Prairie Writer's Day! If you live in the Midwest and are looking for a great SCBWI conference, I would highly recommend this one. I attended last year and found it to be a great experience. Get a chance to rub elbows with Illinois' best children's, MG, and YA book writers as well as the agents and editors. Follow the link to the SCBWI-IL Prairie Writer's Day page where you will find location and registration information, as well as a complete schedule. Hope to see you there! The class was still discussing the debate as the bell rang and they exited the classroom. “I wish we were older and we could vote, or at least be able to do something. If people let the government get away with this, its just insanity!” raved Jason as they made their way down the hall. “See! That’s exactly it—selling out your freedom for your security!” Jason snapped back. Crystal’s face fell. I'm working my way through ebook preparations, hoping to have a solid release date soon...maybe next week! 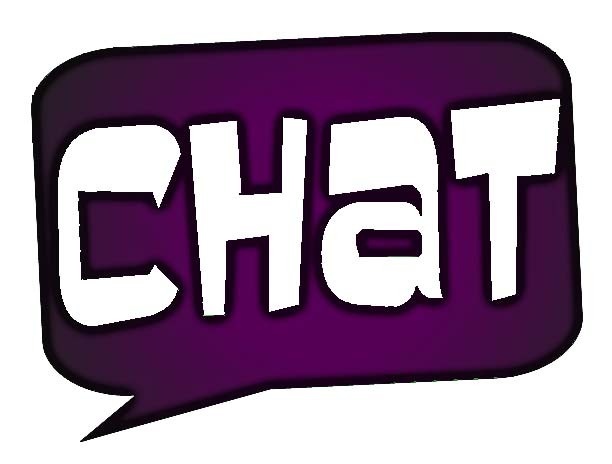 I've also started a live chat on Twitter, taking place Monday nights, from 8-9 CST. Hope you will join us to discuss all things epublishing/ebooks! Readers and writers are equally welcome. I think we can learn a lot from ebook readers, they are our audience, after all! This is the third article in the Adventures in ePublishing series (read Step 1 and Step 2). I've been following ebook mentor J.A. Konrath's recipe for success, outlined in his How to Make Money on Ebooks article. Just a quick note to let you know that #ebooklitchat is back tonight, but I'm moving up the time to include our east coast friends. Please stop by Twitter between 8-9PM CST. Last week we attracted the attention of Net Galley, an online location where publishers can make copies of ebooks available to readers/reviewers in advance of publishing, as well as Calibre, known for their free ebook formatting software. I'm hoping they'll join us and let us know a little more about what they can offer ebook authors. I've heard we'll also have some ebook readers coming by. It may be helpful to pick their brains a bit, find out if they're reading indie ebooks, and maybe just what they're looking for. 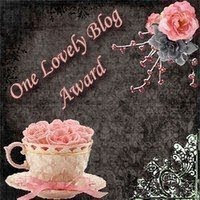 I just want to thank everyone that stops by and reads this blog. I check Site Meter every week and I'm super excited to see that people all over the globe are stopping by. It's people like you that keep me writing! I'd love to get to know you better. Be sure to leave your name and a little about yourself! Post a picture! Tell us where you're from! Next week we'll return to our normal Monday-Wednesday-Friday Into the Shadows posts. I'll be updating the earlier chapters to include the new and improved chapters that will be exactly what will be in the ebook! I'll post the entire book before the ebook is sold, so those of you that have been reading will get a chance to finish! 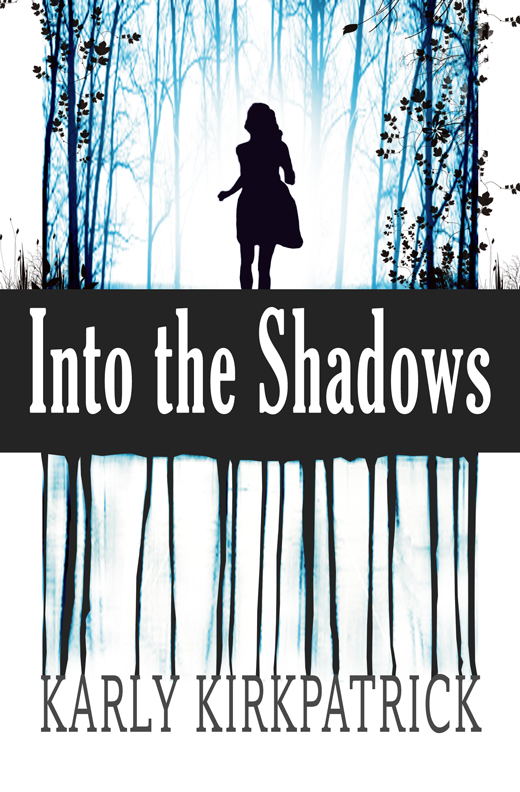 I'm hoping to have a cool contest to help get the word out about the release of Into the Shadows in ebook form! I just have to figure out what to do! Suggestions??? And thanks again! Merci! Gracias! Danke! Grazie! 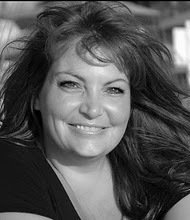 Today I'd like to welcome indie author, Kristie Cook as she shares her thoughts on indie publishing! Her book is available now at Amazon.com, and be sure to check her out at her websites, www.KristieCook.com and www.IHavePromise.com. You can also find information on her and her book on Goodreads! Once upon a time, going “indie” meant self-publishing because no one else would dare touch a book. Usually, it was because it needed serious editing (as in terrible writing skills, poorly constructed plot, unbelievable characters, etc.) and/or there was no market—no target audience—for the book. Determined (and sometimes delusional) writers took on the expense themselves and hand-sold their books out of their car trunks. Every once in a while, there was a gem—a book that should have been bought by a major publishing house but for some reason wasn’t. It was well-written, with believable and lovable characters and an exciting, unpredictable plot. These were the exceptions and not the rule, though. The industry stuck with the rule that “self-publishing” equaled “unworthy.” This stigma meant those who did have a gem would kill their careers by self-publishing. Join me tonight for the first #ebooklitchat on Twitter! I'm hoping a few people will stop by and we can chat about all things ebooks and epublishing! Come and share your expertise and feel free to plug yourself on there before we meet! We'll be meeting on Twitter to live chat from 9-10 PM CST. 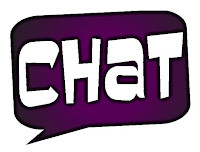 Unsure of how to find the chat? Use the search function and type in #ebooklitchat. As long as your tweet is tagged with #ebooklitchat, you can join in the conversation! I found Klise's debut to be fascinating. Diving into the mind of a gay male teen was definitely a new adventure for me, but I felt like Jamie, the main character, and I were old friends. I also thought the premise was really something. We are so over-medicated in this country and the thought that there is a medication to cure everything, even homosexuality, was very poignant. If we learn anything from Jamie's adventures it's that being true yourself is the greatest freedom. 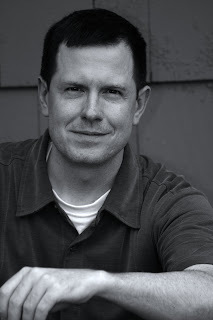 Are you an unpublished YA writer that would like more exposure? Want to challenge yourself monthly and compete against other YA writers for a shot at getting your work published in an ebook anthology? Be sure to stop by my other site, YA Flash Death Match and join in the fun! Hope to see you there! My debut novel, Love Drugged (Flux), hits the shelves in September. Because my main character is a gay teenager, I’ve been asked, what’s the best way to write LGBT characters in my book? My best answer goes like this: I would approach it the same way you would if you were including, for example, a character with red hair. Or a character with green eyes. In other words, as long as you are creating a unique, three-dimensional, fictional character, there’s no right or wrong way to do it. If you include LGBT characters in your fiction, just take time to make them people—with good traits as well as bad habits, quirks, motives, capable of generosity and selfishness and (most of all) surprise. In addition to being a writer, I run a high school library in Chicago. Every fall, at some point, a student will approach the circulation desk with a few books, and sandwiched among them will be a book by, say, Alex Sanchez or Julie Anne Peters—authors of well-known LGBT novels for teens. I scan the books with my Magic Circulation Gun and rattle off my usual song-and-dance about due dates and avoiding mud puddles, etc. Being that I have 2 weeks to finish up revisions on Into the Shadows before submitting it to the formatter, I will have to at least take this week off from posting ITS on the blog so I can get some work done. I will get right back to the action as soon as I finish the book. I just want to make sure it's done on time so I can get the ebook available to you as soon as possible! There were gasps and whispers throughout the crowd. He pulled the small drive from his pocket. If you've been following the blog, you may have seen the initial Adventures in ePublishing article. I've been following epublishing genius J.A. Konrath as I've traveled down the path of epublishing my YA novel, Into the Shadows, which will be available on Amazon and Smashwords later this fall. Today we'll take a look at Konrath's second suggestion in How to Make Money on eBooks, which discusses how to price your book. The Senator stood in the wings, listening to the cheers of the audience as Jeff Clancy was introduced. Jeff addressed the crowd briefly, and then they turned their attention to the stage. It was decked with bright red curtains against which hung long blue banners. Lines of white stars ran along the banners from floor to ceiling. Two podiums on the stage were decorated in a similar motif. Senator Stevens could see the crowd behind the bright lights. A few butterflies bounced around his stomach, but he pushed the feeling aside. This is it, he thought, can’t get nervous now.